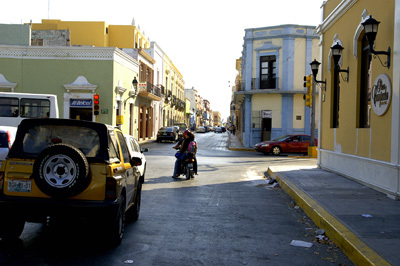 The city of Campeche, Mexico sits on the west coast of the Yucatan Peninsula. 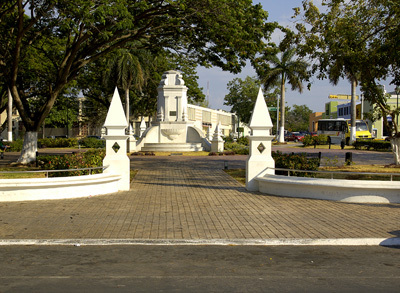 It is a historic port city that was founded in the middle of the 16th century. The shoreline north of the city is host to a healthy population of baby tarpon ── fish from 5 to 30 pounds. 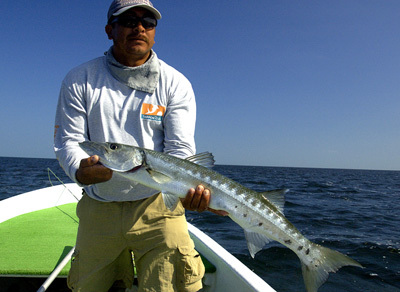 Myself and four other anglers ventured to Campeche for four days of tarpon fishing this past May. 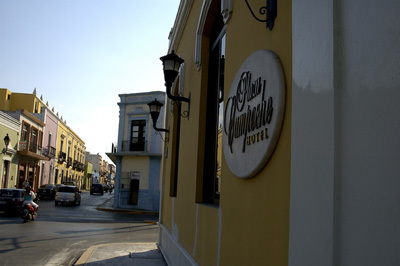 We found the city to be clean and characterized by its historic architecture. The accommodations were first-rate and our outfitter was well organized and on time and each guide worked hard and gave us a full day. We fished along mangrove shorelines, bays, and channels as well as open deep-water flats a few miles out from the mainland. 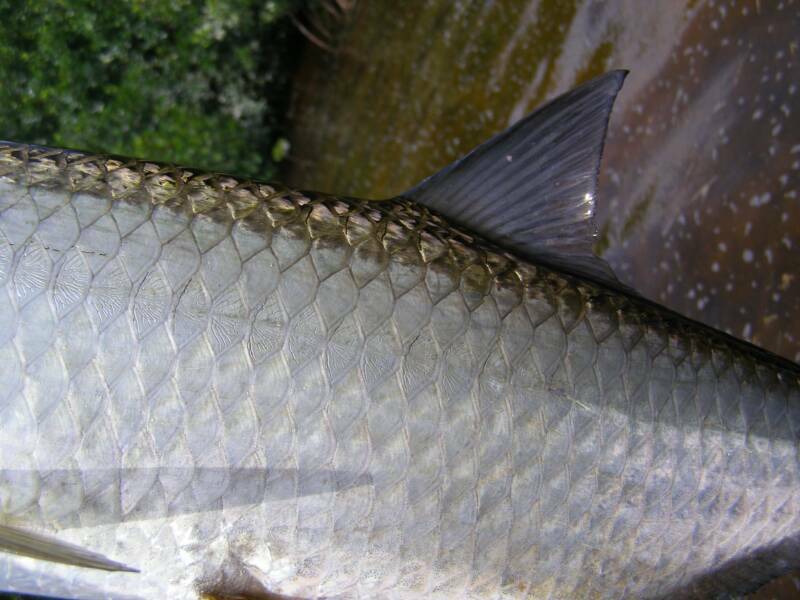 The tarpon along the mangroves were plentiful but not easy to fool. 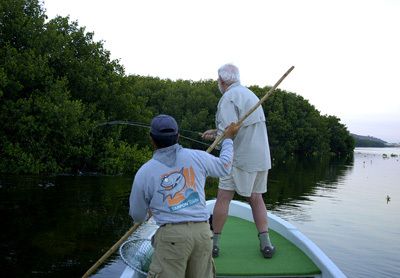 We spent approximately two and half days fishing along the mangroves. 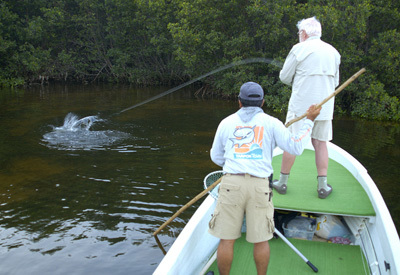 For the most part we all had numerous exciting opportunities to cast to visible cruising and laid-up tarpon. Both stealth and accurate casts greatly improved the chances for a hook up. A fair number of fish were hooked each day although many less were actually landed. The bony mouth of a baby tarpon combined with fighting them in proximity of the mangroves created quite the challenge. When the winds were lower, the guides took us to the outer flats. Here the tarpon were bigger and more aggressive. Schools could be seen rolling and feeding as they moved along the flat. 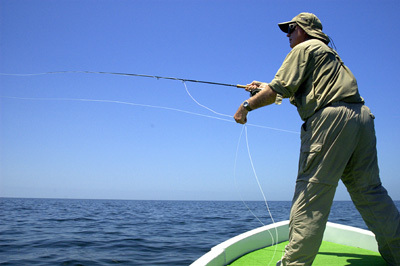 It was incredibly exciting as the guide positioned the boat in an attempt to intersect the fish for a cast. A good cast often resulted in a take from a tarpon. Again many fished were hooked but a lot less were landed. Getting a solid hook set was made more difficult by the fact that even on the less windy days, the gusts had enough force that the boat often drifted toward the fish making it a challenge to maintain a tight line. 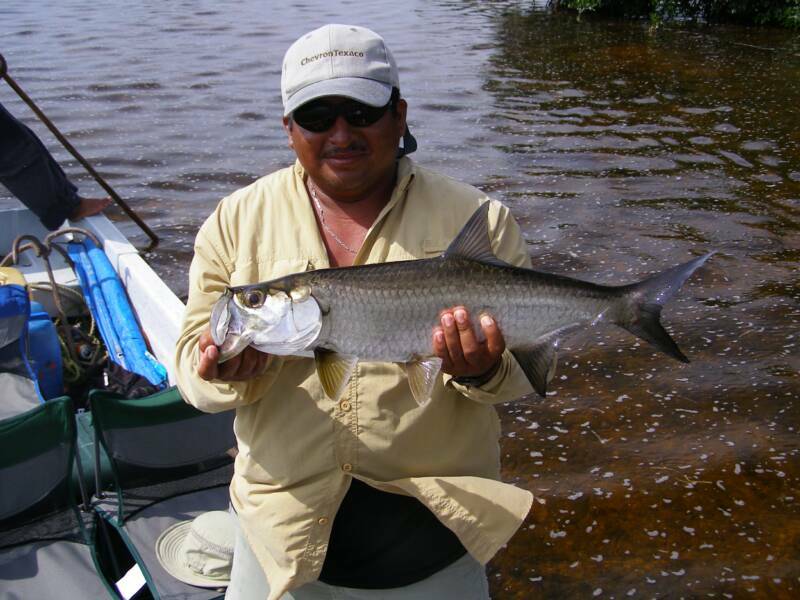 My last fish of the trip was a big tarpon for Campeche. The guide estimated it at thirty to forty pounds. I survived three jumps and a spirited battle. 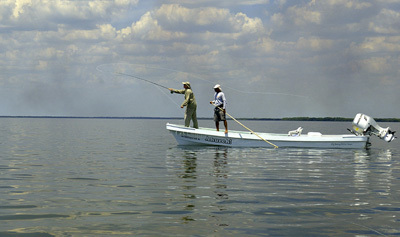 The tarpon showed signs of tiring as I brought it near the boat but it made one last run and jump and threw the fly. My heart sank. We fished eight, nine and ten weight rods. I preferred a ten weight for the wind and distance required on the open flats but preferred an eight weight for stealthy casts near the mangroves. 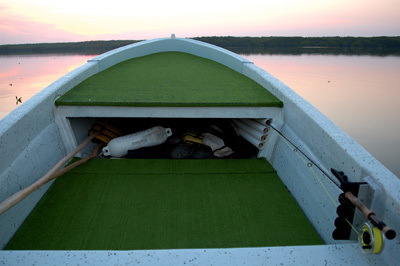 While floating lines worked well, an intermediate or slow sink tip would be a good for the open flats. 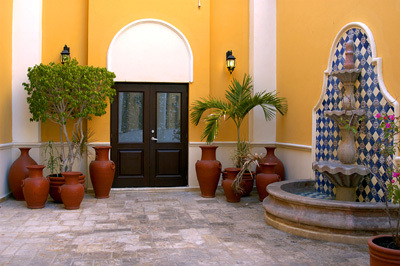 The weather was sunny and hot ─ near or over 100 degrees each day. The afternoon breeze took the edge off the heat while fishing. The beautiful pool at the hotel took the edge off when back in town. 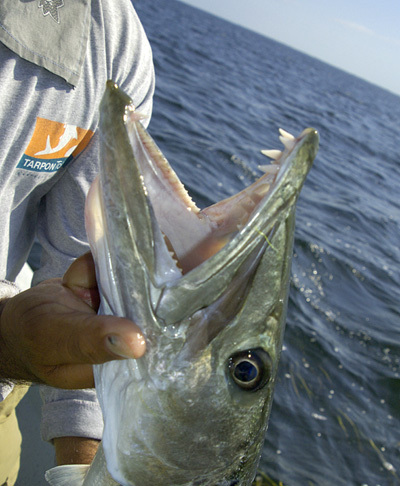 In addition to tarpon we also caught barracuda, snook, and grouper. This was a very enjoyable trip for Mexican tarpon. The sheer number of fish constantly kept you at the ready and the nine to ten hour fishing days flew by. 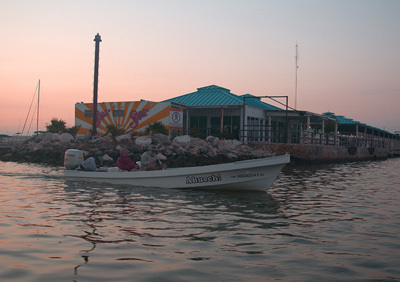 I hope to visit this tarpon paradise again someday.